It’s no secret that humor sells, and the number of advertisers cashing in on April Fools’ Day continues to grow. Last year, many well-known brands played pranks leading up to and on April 1. And in all of them, the joke was on consumers. Streaming TV service, Netflix, introduced a new original series, titled Sizzling Bacon. Not to be outdone, Procter & Gamble’s Scope brand unveiled a bacon-flavored mouthwash. Cheetos released a new fragrance, Cheeteau. And Sam Adams served up the happy news of the world’s first helium-carbonated beer. Even normally serious carmakers took part in the humor. Is the world ready for a Skoda special edition Yeti Ice, finished in faux fur? Or, a Mini Cooper that runs on tea? What about a do-it-yourself Honda? Or, a BMW M3 pickup that reaches a speed of 186 mph? Turns out, the M3 pickup is for real. It’s too bad more April Fools’ jests aren’t the genuine article. Wouldn’t it be nice if American Well’s Puppy Connect really did connect you with a puppy to improve your health? Or, what if Redbox, the DVD rental company, could in fact match its movie selections to your mood? And we’re guessing that “Snackaging,” the edible pizza box from Domino’s, would be a big hit with both environmentalists and hungry customers too famished to open the lid. 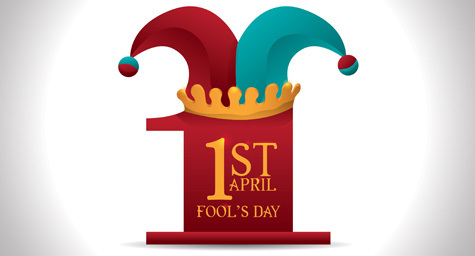 It’s unclear yet what pranks advertisers will play for the upcoming April Fools’ Day, but stay tuned. Given the number of jokes last year, we’re likely to experience quite a lot of leg-pulling between now and April 1. The best advice is to keep your sense of humor and exercise some healthy skepticism. Otherwise, you may get sold on a product that sounds, and likely is, too good to be true. For marketing strategies to best promote your brand, contact MDG Advertising today at 561-338-7797 or visit mdgadvertising.com. MDG Advertising is a full-service advertising agency and one of Florida’s top branding firms. With offices in Boca Raton and New York City, MDG’s core capabilities include branding, logo design, print advertising, digital marketing, mobile marketing, email marketing, media planning and buying, radio and TV advertising, outdoor advertising, newspaper, video marketing, website design and development, content marketing, mobile marketing, social media marketing, and SEO. To discover the latest trends in branding and advertising, contact MDG Advertising today at 561-338-7797.